As the final Grand Slam of the year approaches the world of tennis is faced with the possibility of a new player emerging from the rankings to take the trophy. In a wave of injuries and disappointments the US open has lost five of the top eight players in the men’s draw, the final of these the previous world number one, Andy Murray. Murray announced that, despite best efforts, his hip had not completely healed and he could not play over the next two weeks. The Brit explained that ‘it’s too sore for me to win the tournament and ultimately that’s what I was here to try and do’, and with this comes his first withdrawal of a Grand slam since 2013. 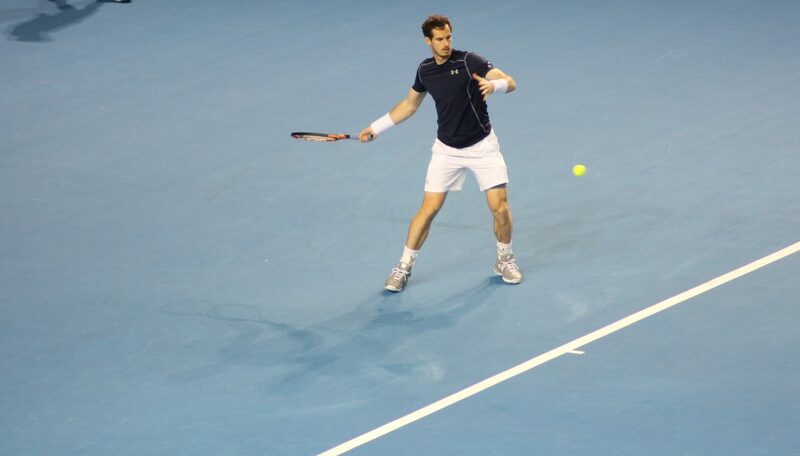 After this exit it seems impossible to predict when Murray will be seen back on court. With Nadal and Federer back to their best Murray needs the integral part of his game to be working; his movement. Murray’s ability to retrieve and defend on seemingly impossible shots gives him an edge against the top players and as he is currently not 100% fit it is understandable that he will wait to be fully comfortable before attempting to reclaim the number 1 spot. While Murray’s exit is now at the forefront of tennis minds it is also the absences of Djokovic, Wawrinka, Raonic and Nishikori which have caused a disparity between the two halves of the draw, leaving the bottom half deprived of any of the top 8 and only holding three previous Grand Slam finalists. In the top half clear favourites Nadal and Federer are set for a thrilling semi final. This is not a guaranteed prediction though. With the likes of Dimitrov, Kyrgios and Del Potro, the two favourites have a challenging draw. A fan favourite wherever he goes, Del Potro holds the weapons needed to challenge the top players, and his history at this tournament, where he took the title in 2009, beating both Rafa and Roger on the way, should give him the confidence to go far. Dimitrov and Kyrgios, having just played a Masters final in Cincinnati, stand alongside Del Potro as key challengers to reach the semi. Dimitrov, who defeated Kyrgios to take his first Masters title, has struggled with pressure and consistency despite being called ‘the prince of tennis still waiting for a major crown’ by the Guardian. Now, however, the level of fitness that he’s showing is remarkable and he will feel strong coming into the US off the back of this victory. While ‘a record of two semi-finals in 28 attempts suggests that his Slam-winning potential remains largely theoretical’ (Jonathan Liew, The Independent, 10 July 2017) he possibility of him creating a huge upset can’t be ruled out. A potential quarter final with Nadal holds exciting possibilities. Kyrgios, despite losing this final, is still set as a future Grand Slam winner, and with his increasing maturity on court he always stands as a danger. A possible 4th round clash with Federer faces him. It is not only Dimitrov and Kyrgios who come into Flushing Meadows with a huge amount of momentum. In the other side of the draw stands the next gen player, Zverev, the 4th seed, who comes into the Slam having confidently defeated Federer to take his first Masters. The highest seed he would have to face coming into the semi finals is the big serving American, John Isner, who is now placed at 10. With Zverev’s current success he is clear favourite to make it through to the semi final, where he could face Marin Cilic or Tsonga, both previous Grand Slam finalists, and in Marin’s case a previous winner at the US, both with lots of experience. With the loss of a key five players all eyes are focused on Federer and Nadal, but the tournament holds more possibilities to those on the edge of breaking through. With the next gen players, as well as established previous Gland Slam quarter and semi finalists the men’s draw is set to be an interesting one, with fascinating matches early in the tournament. Without Andy Murray there is still hope for the Brits in the coming two weeks, as once again Jo Konta is very much in the mix. Jamie Murray, in his successful pairing with Soares, also has a chance of reaching deep into the competition, but a tricky draw faces them, with the number one seeds Henri Kontinen and John Peers on their side of the draw. The Women’s draw not only brings excitement for the British fans but also brings a fascinating match immediately in the first round. The previously banned Sharapova is back with a wildcard and faces the Romanian number two seed, Halep. Having never beaten Sharapova in their six meetings one of the favourites for the title faces the threat of a first round exit. Sharapova’s entrance has already caused a huge amount of debate, as a divide in opinions over the issuing of a wildcard for the previous number US champion has hit, but this match promises to be one of the moments of the tournament, whether through controversy or amazement. The winner of this match up could go on to meet Konta in the quarters, then possibly Muguruza, who seems to have a lot of momentum coming into the Slam. Like Dimitrov she saw a huge amount of success in the Cincinnati Masters, defeating Halep, Pliskova, Kuznetsova and Keys, showing her impressive run at Wimbledon was not simply a one off, but what seems to be one of many success stories. However she faces huge difficulty in Venus Williams, who, if they both make it through, could be her quarter final opponent. Venus will be a threat for anyone in the tournament, but with Muguruza’s previous wins the Spaniard looks like the clear favourite for this quarter final. This years US open provides a breath of fresh air, due to the uncertainty of the winners of the bottom halves of both the men’s and women’s draws, attracting optimism and focus from the world of tennis. It also brings the added anticipation of new professionals to step forward and announce themselves alongside the past greats to win such an important slam.